One of the major and essential parts of any warehouse infrastructure is warehouse racking. Warehouse pallet racking is a quintessential material handling and storage assistance of the modern times. Now, the racking of the cartons or boxes determines the pace and efficiency of any warehouse operation. Too much clumsy warehouse racking can hinder the operations of the organization. On the flip side, proper racking with methodical placement accelerates the process without disturbing the other elements of the infrastructure. The warehouse managers undergo special training in understanding the rudimentary process and design ideas to maximize space efficiency as well as optimizing the organization. Warehouse racking options are affected by different factors of which some are warehouse layout, aisle width, docking locations, and shipping areas. The whole operation is significant to the fact that the operations should be streamlined and just like the mass production layout, the cartons are placed in the racks accordingly to reduce the time and cost simultaneously. As we drive down the aisle, a warehouse pallet racking system designs the storage of materials on the pallets or commonly known as, the skids. 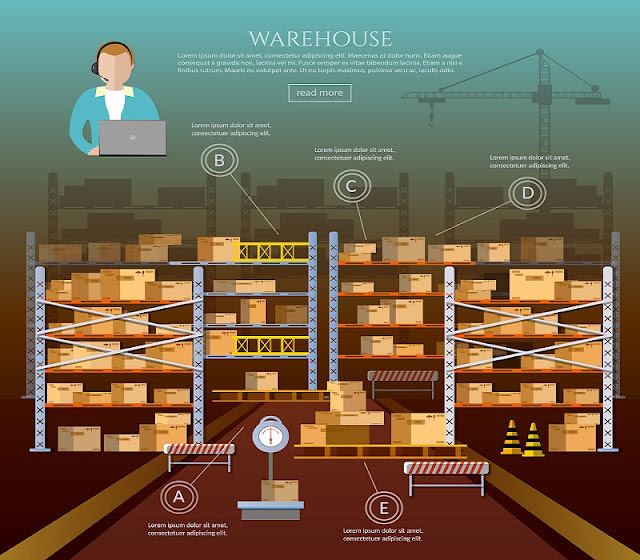 There are many types of pallet racking but all follow a similar layout where materials are placed in horizontal rows with multiple levels. 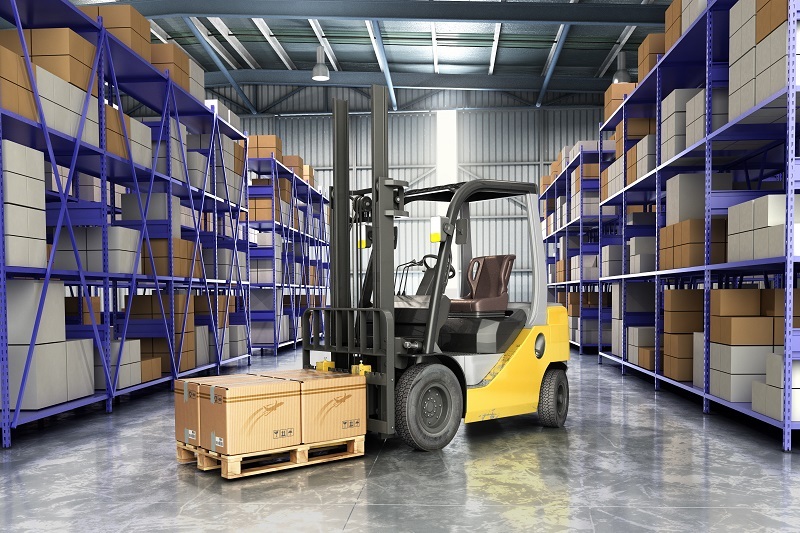 A forklift truck plays a crucial role in the racking. They are used to carry the loads from one place to another and lift the load through different levels. Selection of the right warehouse pallet racking system makes a substantial difference in storage and handling of stored stocks However, for years, specialists have designed many pallet racks which now have been converted into four primary styles of pallet racking.. It is believed that a well-designed kit can increase productivity by reducing the elapsed time and increasing space. The designs are stated as follows with their suitable application in the areas of storage. • Selective Pallet rack is the simple and most versatile warehouse pallet racking system available in the world. Its popularity can be tracked down through its multiple level storage facilities with much aisle space allowed to perform the forklift functions without disturbing the other elements. It is an ideal design for general warehouses and also for average retailers. It helps stacking the elements and categorizes them effectively. In addition to these, many manufacturing firms also implement this design for convenient facilitation of inventories. • One of the unique designs in pallet racking is the depth of its design. It is created by putting one selective racking behind another. Deep down racking is highly recommended for high-density storage. The deep down design can be built for Last-In-First-Out (LIFO) or First-In-First-Out (FIFO). In both the cases, the bay should have one entrance and one exit where the forklift can move freely. • Push back rack system is the finest innovation in warehouse pallet racking system where the pallets sit on carts which slide in and out. The pallets can be drawn out in case there is a requirement of storage space or can be pushed in during low-density storage. The pallets function similar to the shelves of refrigerated beverages at any grocery store or even at home. This is a popular design in food and beverages warehouses. • Pallet flow rack is another popular choice that involves gravity into action and is most suitable for the FIFO process. The pallets are added at the higher end which slopes down to the ground or rack level. As soon asone of the pallets get displaced or taken away by the forklift, the immediate successive item is flown down and takes the place for the next pick up. These were some of the pallet racking system advantages and uses that are widely used across industries. There are many firms who have been trying to design new layouts to increase the efficiency of operations. They also hold assessments to find if the design a warehouse uses is optimal or not.